Reporting the results of a qualitative research on disability and begging in the City of Buenos Aires, Argentina, in this chapter we focus on problematize three questions: What is the rationale whereby lower-class people with disabilities in a peripheral capitalist setting think of begging as ‘business’? What ‘explains’ the generous disposition of those who ‘give’ alms to others because they ‘have’ a disability? 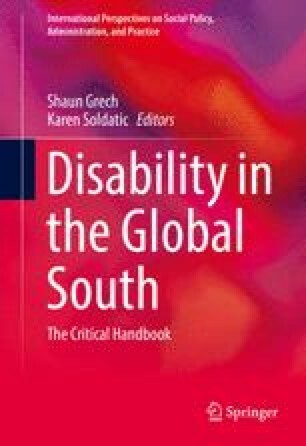 What does the spectacle of a disabled body, as an invalid unfortunate recipient, tell us about the social relations promoted within today’s capitalism in a country belonging to the global South and about the challenges facing the Convention on the Rights of Persons with Disabilities to materialize inclusion?.